Kindred Nations – The United States and India, 1783 – 1947 | Anirban Saha. The trade relation between the British occupied India and the newly independent United States of America dates back to early seventeen eighties. Do you know what was one the first things imported from the United States to Calcutta? It’s ice. So was it only ice and the various other things that got exchanged between the United States and the only second US Consulate in the world, the then Calcutta? Or was it the beginning of the confluence of the cultures? The history is intriguing. The Chatu babu – Lattu Babu’s home in north Kolkata stands testimony to this history. 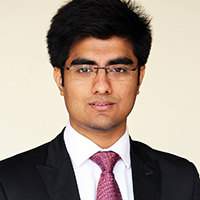 Ramdulal De is one of the first Bengali millionaires and a pioneer of the Indo – US trade relations. There was an American trading ship named after him and a “Ramdulal De society” still exists in America. When Ifte (Calcutta Walks) was telling me all these, I was bubbling with questions. The Bengalis that time were heavily influenced by the western school of thought. 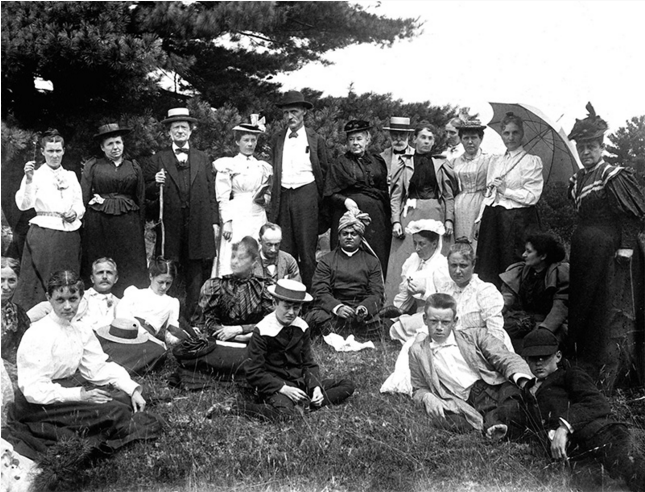 How major an influence was the American free society on the Indian minds? Raja Rammohan Roy, Swami Vivekananda and Rabindranath Tagore, to name a few, were free thinkers who brought changes to the religion and society in India (Calcutta). 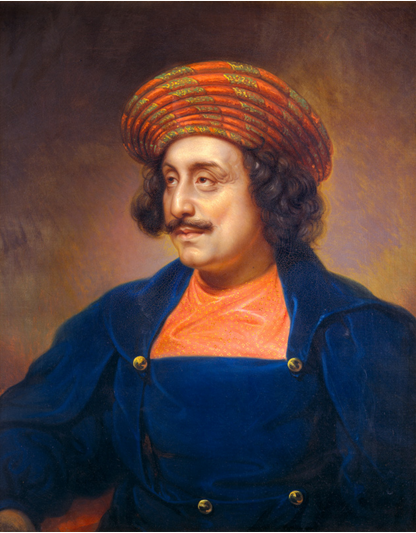 Raja Rammohan Roy, 1833. Courtesy of the Peabody Essex Museum, Salem, Massachusetts, 137982. Via: Kindred Nations. (Link). “You’ve asked a good question. Even Crusades was not all about wars. At the end of the day, we deal with people and there must have been a major exchange of ideas and culture during this time”, remarked Ifte. “Our (Americans) founders eager to place our country on the world map, learned much from the ancient cultures and traditions of India. They infused American dishes with Indian spices, wove Indian cotton into our textile and incorporated India’s ancient religions into our philosophy and literature”, writes John. F. Kerry (Secretary of State, U.S. Department of State). 1850s: Joguth Chunder Gangooly, who converted to Unitarianism travelled from Calcutta to Boston. Dismayed by the American misconception about India, he wrote “Life and Religion of the Hindoos” to provide a deeper insight into his homeland. 1879: Francis Marion Crawford arrived in Bombay to study Sanskrit. After returning back to the US, he became a pioneering American Sanskritist translating hymns from the Rig Veda to English. 1893: Swami Vivekananda spoke in the World’s first parliament of Religion. Inside the Ashutosh Birth Centenary Hall with Mr. Craig Hall. 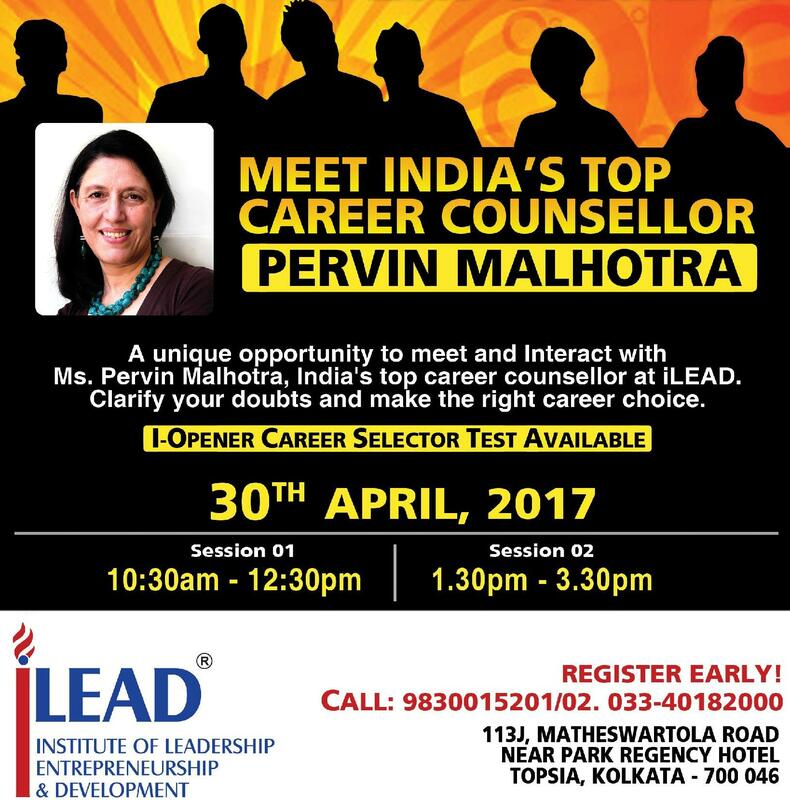 Courtesy: US Consulate General Kolkata FB page. 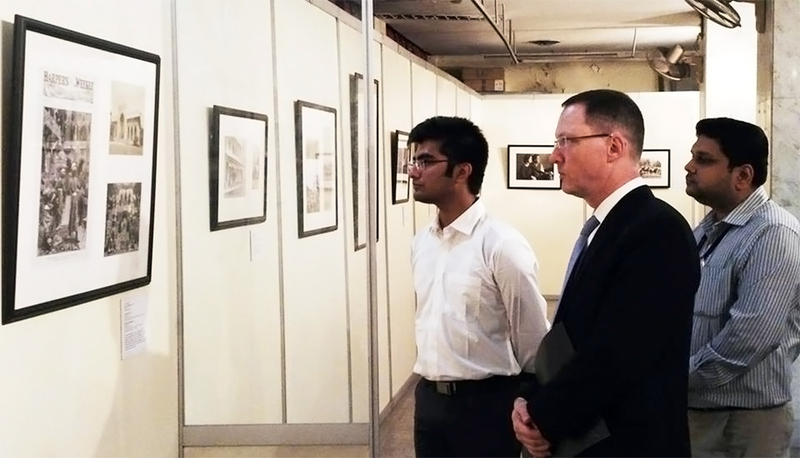 Kolkata Bloggers was invited to the event “Kindred Nations” – an exhibition organised by the US Consulate General and the Indian Museum, curated by Meridian International Center, Washington DC with support from the US Department of State. I took this opportunity and had a quick exchange of views with Mr. Craig Hall. I looked at the exhibits with sheer amazement. I never knew it could be so much. Being a follower of Sri Sri Ramkrishna Deb, the only bit of early Indo-US history I knew of, is Swami Vivekananda’s journey to the United States and the World Parliament of Religions. Let me try and reconstruct the entire thing for you! So here is this nation, still under the fading glory of the Mughals. Towards the east, there is this Bengal province whose last Muslim ruler got defeated by the British East India Company. 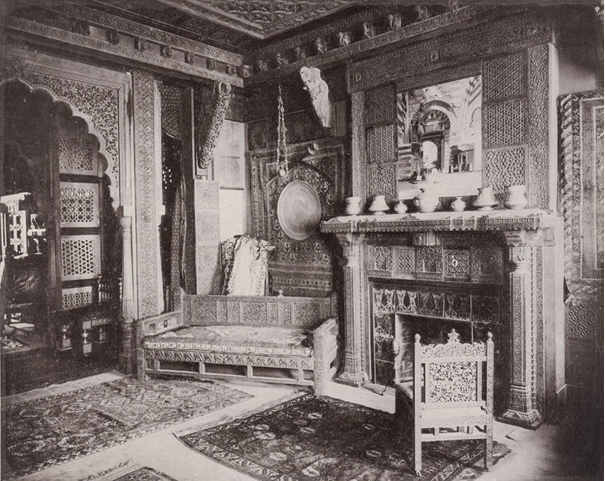 The Bengali society had by then been heavily influenced by not only Persians and Mughals, but also the Dutch, the French and the British. The British were consolidating their territory and strengthening their base in Calcutta. In some parallel world, a huge nation got her freedom from the British rulers and expanding their horizons, establishing business globally and advocating a free society. Did they really come to India for the Indians or was it the British that brought them? “They wanted to eliminate the British and interact more with the Indians” said Mr. Hall. Over the years, the trades strengthened relationships between the two countries with regular exchange of commodities, ideas, people and their culture and umm elephant. 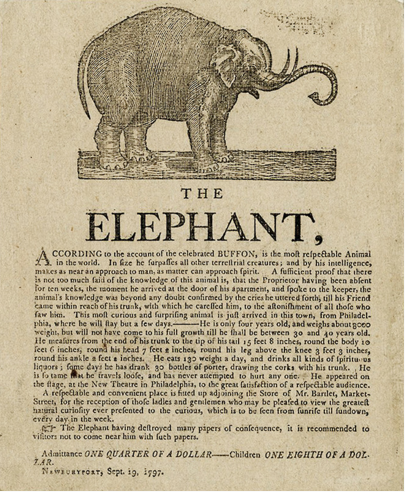 “The Elephant” broadside, 1797 Courtesy of the Collection of the New-York Historical Society, SY1797 no. 26 Jacob Crowninshield brought the first live elephant to the United States in 1796. The two-year-old pachyderm – which the American merchant had purchased for $450 in Bengal – was exhibited in cities such as Boston, New York, Philadelphia, and Salem. Visitors could see the exotic animal firsthand for only twenty-five cents, setting a precedent for later circuses. 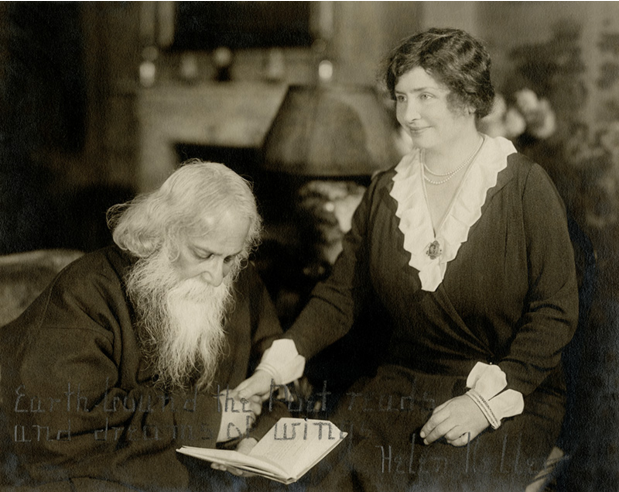 Rabindranath Tagore with Helen Kellar, 1921 New York. Courtesy: Perkins School for the Blind Archives, AG62-3-001 Via: Kindred Nations. (Link). I wondered, Calcutta had always been iconic and instrumental in modernising India. 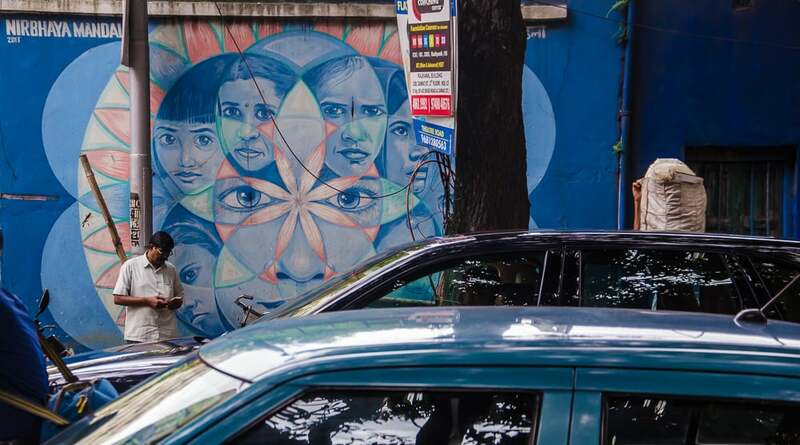 While Raja Rammohan Roy being influenced by the western school of beliefs, searched for Unitarianism in the Upanishads, established “Brahmo Samaj” and made a few brutal societal practises illegal. There were religious leaders, social reformers and poets, who spoke of unity of religions. It was the hub of science, modern education and politics. 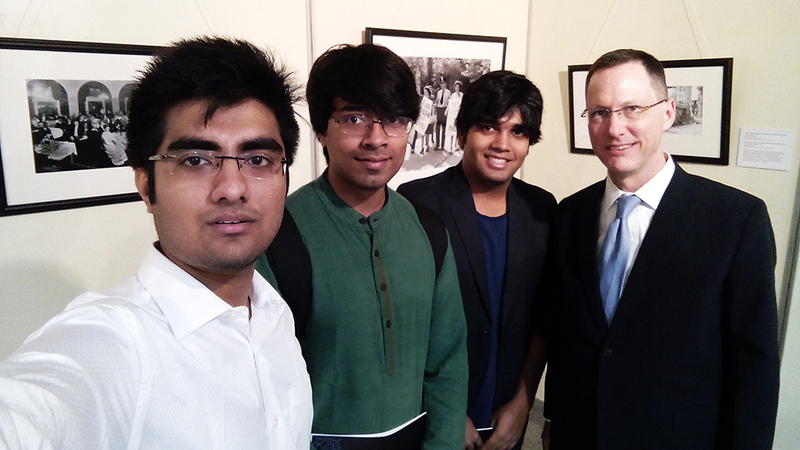 Me, Surya, Rrivu meeting Mr. Craig Hall, US Consulate General Kolkata. If you have an interest in Calcutta and its history, I would strongly recommend this exhibition and would ask you to be there. Do let me know if you require any help. Thank you Mr. Craig Hall for finding some time out and speaking to us, Mr. Iftekhar Ahsan (Founder, Calcutta Walks) for telling me interesting stories about the earliest Indo-US trade. If you have any interesting fact to share, please do it. Like, comment and share this blog post. Make sure you visit the exhibition before it ends on the 31st of this month. 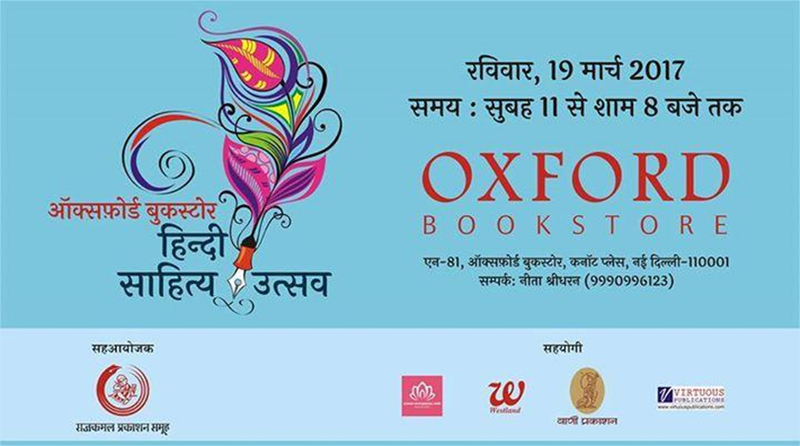 The exhibition is open from 11 AM till 4:30 PM, at Ashutosh Birth Centenary Hall, Indian Museum. A life sized oil painting of George Washington, the first president of the United States of America, was gifted to Ramdulal De which was showcased in his north Calcutta home as a reminder that anyone can achieve their freedom. Almost a century later, Henry David Thoreau’s writings on civil disobedience were a huge motivation for Mahatma Gandhi and was a powerful tool in the struggle of Indian independence. Check out Kindred Nations link here. Next PostA reluctant photographers Mumbai visit! Through the lens of a Feminist: The Hindi Sahitya Utsav, Delhi 2017.